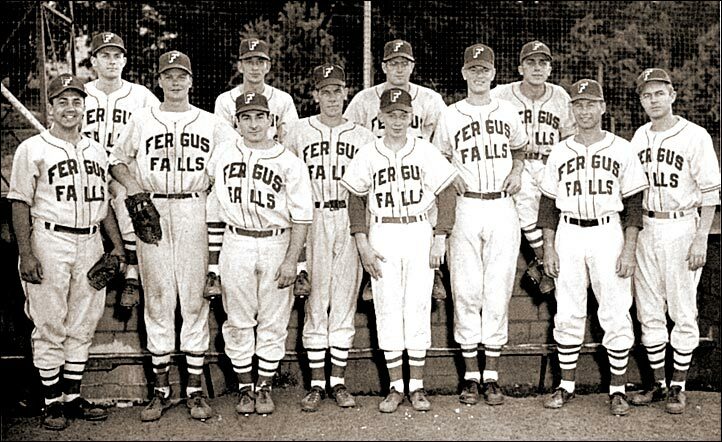 Back row (left to right) - Fred Kroog, Rollie Harlow, Duane Baglien, Joe Colasinski. Front row - Jim McNulty, Don Blasius, Ed Piacentii, John Kelly, George Sawyer (Batboy), John DeWitt, Hal Younghans, Harley Oyloe. Mel Henson was missing from the photo.